The redevelopment of the Clyde Court Hotel in Ballsbridge will result in the creation of 500 construction jobs. 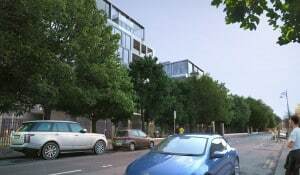 The announcement was made today that Chartered Land will start work on the site in early 2016 to replace the hotel with an exclusive residential scheme of 190 apartments in a pavilion-style development on Lansdowne Road. Chartered Land will work according to the existing planning permission granted for the site in Dublin’s most sought after residential address. The trees on the site, which date back to its use as the Trinity College Botanic Gardens, will be retained. The 190 apartments are expected to come to market in 2017. Dalata Hotel Group has extended its lease on the neighbouring Ballsbridge Hotel to at least April 2018. The Ballsbridge Hotel will continue to operate until at least the middle of 2018 when a future development phase will include additional apartments, a new hotel with a panoramic rooftop restaurant, a boutique retail offering and restaurant uses fronting a new public plaza. Andrew Gunne, CEO of Chartered Land said: “This site is unique in the context of its history, location and the quality of the scheme that will be delivered here”. Dalata’s lease on the Clyde Court Hotel will be surrendered in line with the terms of the lease agreement and the hotel will cease to operate from 1st January, 2016. Our image shows artist’s impression of new apartments at the site of the Clyde Court Hotel, Ballsbridge, Dublin.